Developments in computers and the internet have brought major changes to the ways through which the world consumes various types of media. Today, it is possible for people to stream and watch the latest movies from any place in the world. 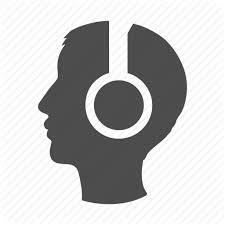 Headphones are a major part of the ways through which people listen to the sounds that form parts of these songs, movies and games. Today, there are a number of ways through which you can connect your headsets to your computer. The most popular of these ways include the use of the USB port through the use of a wireless connection and through the use of a mini plug. The mini plug has been around for a while and is still the most popular way through which people connect their headphones to their computers. It is important for you to make sure that you follow the proper procedure when connecting a headset to your computer. Most people are not aware of the fact that not following the proper procedure can damage either the headset or the headphone jack. So, what it is the proper way of connecting headphones to a computer? The answer to the above question is simple enough. If your headset came with a USB connection, all that you need to do in order to get it working is find a USB port on your computer, into which you can insert the USB connector. Make sure that you are inserting the USB connector the right way in order to avoid damaging either the connector or the USB port. The above advice also applies if you are using a mini plug to connect your headset to your PC. The normal headset audio jack is 3.5mm and is usually colored green. This color coding should enable you to safely insert the jack into the correct port. One way of ensuring that you continue to use your headset and all the other hardware devices that make up your computer is by keeping all the drivers that are on your PC updated. Drivers are important components that act as the interface between the operating system and hardware components on a computer. Although it is possible for you to manually update each of the drivers that are on your PC, this is hardly practical considering the fact that a single computer is made up of thousands of hardware components. It is important, therefore, for you to download and install DriverAssist, a device driver management utility that is made by SafeBytes, on your computer. This nifty utility automates the driver updating process, thus ensuring that you won’t ever have to worry about losing the use of your headset and other hardware components. The best thing is that DriverAssist is made by SafeBytes, a Microsoft certified partner. This means that this driver management tool is completely safe to use on your PC.